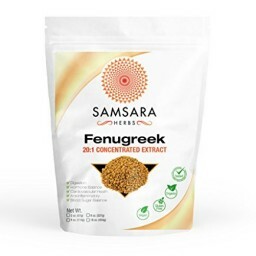 Fenugreek is believed to have originally originated from the Mediterranean. Used for a wide range of conditions such as those dealing with inflammatory, respiratory & digestive complaints among many others. Digestive Health, Respiratory Health, Inflammation! 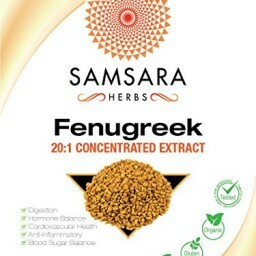 Fenugreek is believed to have originally originated from the Mediterranean. It has been referred to as the oldest medicinal plant on earth. Used for a wide range of conditions such as those dealing with inflammatory, respiratory & digestive complaints among many others. Our water soluble, premium grade Fenugreek powder is made from fresh Organic Fenugreek and is ground to an 80 mesh powder for maximum absorption and allows for a smooth easy mix. 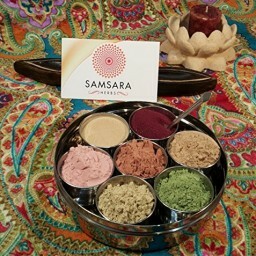 Why Samsara Herbs? 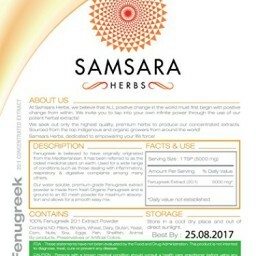 At Samsara Herbs we source the highest quality herbal extracts from around the world. Our goal has always been to provide high quality concentrated herbal extracts that can have a real transformative impact on peoples lives.